LineageOS has become a popular custom ROM among the niche Android users who choose to install a custom ROM on their devices. Its availability for a multitude of devices along with a near- stock experience with a few useful customizations, has become a worthy successor to the CyanogenMod custom ROM, the once popular custom ROM, that eventually met its demise and forked into LineageOS. LineageOS claims to be an OS for everyone, an average novice user, and even an advanced developer. All of this was fine from the user end, but it was nothing interesting to the developer. 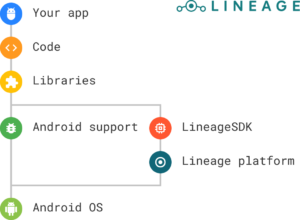 So, to make things more interesting for the developers, LineageOS is announcing the LineageSDK, which would if put in simple words, would allow apps to do more when running on a LineageOS- powered device or even have features custom to the OS. Llama is the first publicly available iteration and is a set of some APIs. It is accompanied by a corresponding documentation section on the company’s wiki to assist the developers. The Styles API, accompanied with the recently announced system styles on LineageOS 15.1 allows the app to tune the UI of their app like adding an automatic dark mode, which Lineage puts as ‘It’s a painless global light/ dark mode for everyone’. Developers have the option of tweaking certain color elements of the app also. The Profiles API enabled tweaking of device settings with a single click, which can be manual or a predefined trigger. It would allow developers to assign a particular profile to features like Wi-Fi, NFC, Volume etc., which as the team behind puts it, may be extremely useful for developers particularly interacting with IoT devices. The SDK is the completely open source and anyone is free to contribute new APIs or finetune existing ones. The rollout is starting this week accompanied by LineageOS 15.1 builds with promise for future updates.